So the recipe we're making today is based somewhat on this one. 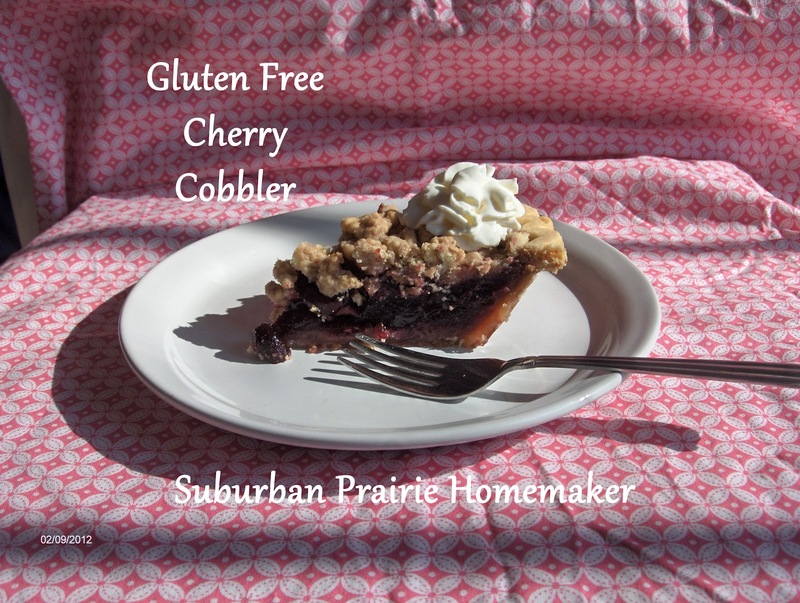 Back in January, for National Pie Day, we did gluten free pie crusts from scratch. And, as much as I like using the "plain" pie dough for a whole host of yummy goodies, I don't like to use it that much for pie dough. It's true! It makes wonderful rolled-out sugar cookies, among other things, but since going gluten free, I really REALLY like the premade crusts I can get at Whole Foods. They look like "real" pie crust. They taste like "real" pie crust. They act like "real" pie crust. Every time, no matter what! The secret I've discovered with them is prebaking. And prebaking them on a preheated cookie sheet, which acts like one of those fancy baking stones. This process eliminates that soggy, gummy, rice flour mess in the center bottom of the crust. And yes, I even prebake my pie crusts for EVERY pie. EVERY pie. EVERY time. Seriously. Preheat the oven to 325. Place a cookie sheet, covered with foil, in the oven when you turn it on. When the oven has preheated, separate the two crusts, and place beans or baking weights on parchment paper inside one of them. This is the one that will go on the cookie sheet. Bake for about 30 minutes. While your base crust is prebaking, in a large mixing bowl, combine cherries (with their juice), sugar, lemon juice and cornstarch. Stir well to combine. In a separate mixing bowl, take the other pie crust and crumble it in. I used a fork to pull bits and pieces from the pan, then just crumbled it with my fingers. Stir in cinnamon and sugar to combine well. I used the same fork, and it worked pretty well. When the pie crust is done, remove it from the oven. Turn the oven temperature up to 350. Remove parchment and beans/weights from pie crust. CAREFULLY add the cherry filling. Crumble the cobbler topping over the cherries, and place the whole thing (cookie sheet and all) into your oven. Bake again for another 30 minutes, then turn off the oven. 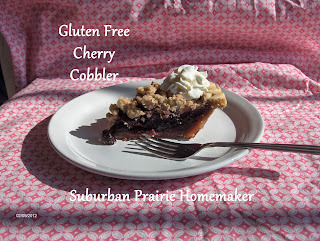 Allow cobbler to cool. Serve with whipped cream, non-dairy whipped topping, or ice cream as desired, and enjoy! Thank you so much for linking up to The Straightened Path today! I am excited to have discovered your site. Can't wait to check out your posts about sewing and baking in particular. Both things I am striving to be better at this year! crusts. I'm going Saturday and will have to look for some. Thanks! This sounds absolutely delicious! It has been a long while since I made a pie, but I'm feeling inspired (or maybe I'm just craving EATING one!). Thanks so much for the recipe!